Hey guys! I wanted to do something a little different on the blog today and perhaps make this into a bit of a series if you guys like it. I was thinking about the fact that so often we focus on what's new in the world of makeup and sometimes those old favorites in a collection don't get as much attention. A lot of my makeup collection does get passed over for the shiny new products, but there are also a lot of long time favorites that I still reach for constantly and I wanted to put the spot light on them. I sat down and really looked at my palette collection and picked the ones that I still reach for consistently and that still stand out in my collection and picked my my Top 5 affordable and high end palettes to form my ultimate favorites. Remember, this is all about my personal taste and my personal collection, so I'm not saying these are the best palettes ever, just my favorite ones that I own. 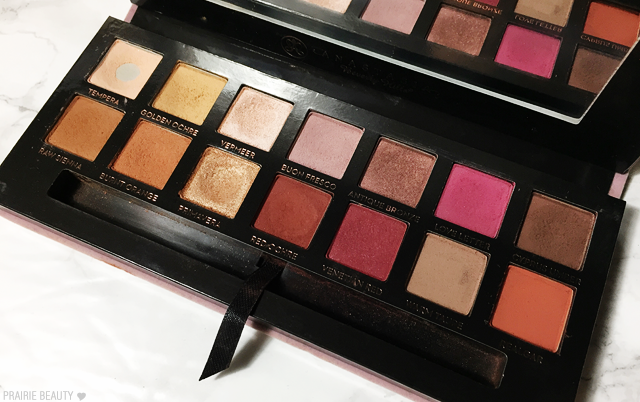 Wanna see which palettes stand the test of time in my collection? Keep reading! 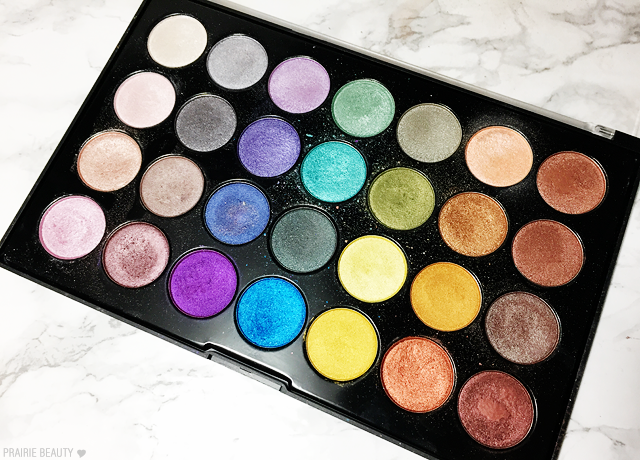 I have to be really honest and tell you guys that I'm more likely to reach for my higher end palettes than I am my drugstore palettes, but when I sat down and thought about what I wanted to include in this list the winners became apparent pretty quickly. There are definitely some really great affordable palettes out there that can get the job done for the makeup junkie on a budget. This palette is kind of amazing, I must say. I think the shade selection gives a lot of variance for different types of looks, from really neutral, every day eye looks to bolder, more intense fun looks. Personally I tend to the far edges of the palette where it's a little bit more neutral, but the bright shades in this palette give a ton of punch. For the price, I really think that this can't be beat as far as formula and pigmentation are concerned. I personally like to wet my brush when I use these to get an even stronger foil on the eyes, but even with a dry brush and no primer I still find these really intense. I haven't talked about this palette on the blog before, but it's one that I find myself reaching for quite a bit. I don't generally use these powders for face or brows, but I definitely think they could work in that way. Personally, I think this is just a great year 'round palette for every day looks. The quality of the powders is really, really nice and I find that every time I use it I get a look that I really like. 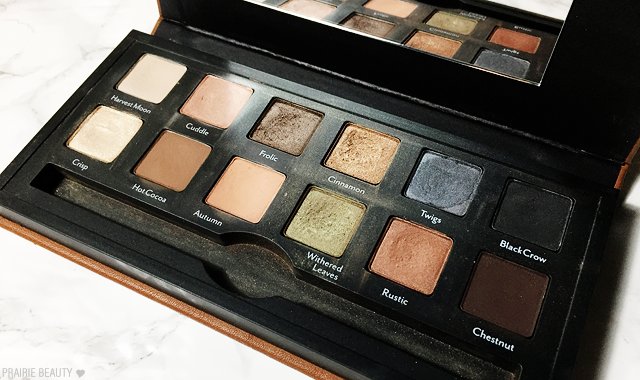 It's also really good for travel because it has all of the basics that you need in one sturdy palette. I'm not sure you can still find this in stores - I picked it up last winter at Shoppers Drug Mart - but it is still available at the NYX website. I was SO excited when the Milani displays here in Canada expanded and there were more products that we could get our hands on, and this was the one product that I picked up immediately after that happened. 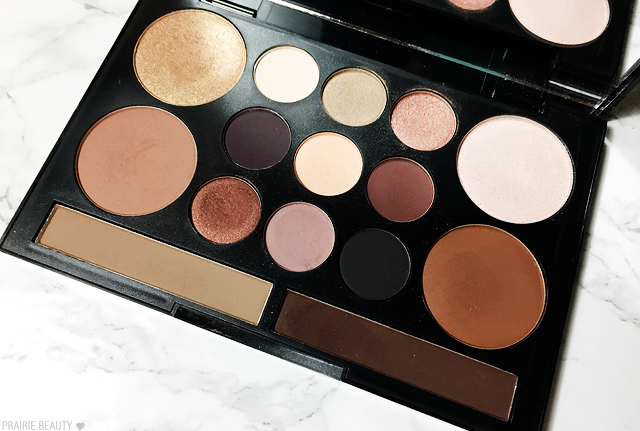 Though this isn't a perfect palette, in my opinion, the two warm matte shades and the deeper shimmery shades make it a palette that I reach for a lot when I want a warm, smoky eye look. This is definitely a palette that I gravitate towards more in the fall and you can bet I'll be reaching for it constantly once the leaves start to turn around here. I was really, really surprised at how much I loved this palette when I finally picked it up because I didn't really have the highest of hopes. I generally reach for this when I want a golden olive smoky eye, because that's a look I've always loved but I don't actually have much in that shade range in my collection. 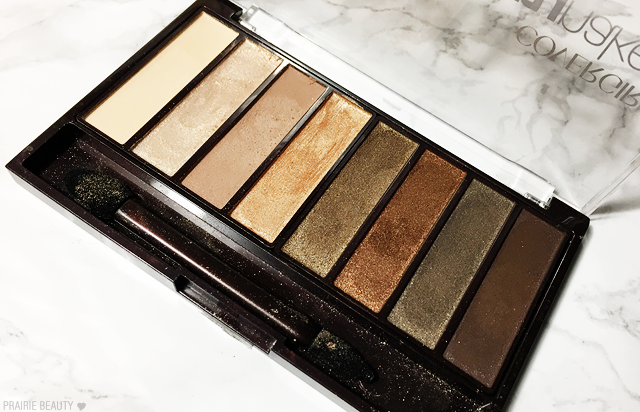 The powders in this palette are really smooth and pigmented - though the lighter shades are a little bit more sheer - and I find they blend really beautifully on the eyes. If you like an olive toned eye look, I seriously recommend this drugstore pick. Recently, I've found that mattes from the drugstore are getting a lot better in formulation and easier to find, but this is the only all matte drugstore palette that I've really loved. 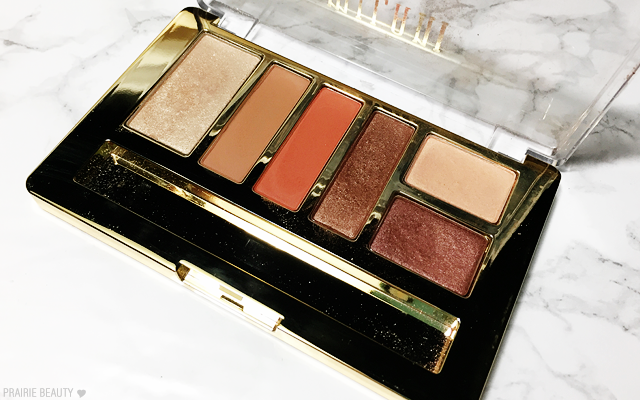 I think it performs really beautifully on the eyes and has a perfect basic shade selection to pair with other palettes or shimmery singles. The best part though? This is so widely available and affordable that it's really accessible for everyone. How can you not love that? I have to say... this is definitely where you're going to find my real ultimate favorites. 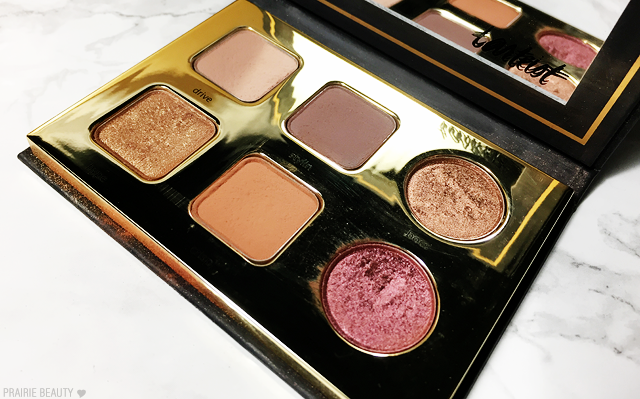 As much as I love my drugstore favorites, I feel like these high end favorites are the ones I reach for the most and the ones that I immediately thought of when I started thinking about palette favorites. Not all high end shadows have performance that's worth the price of admission... but these ones absolutely do. In the face of all of the Subculture controversy, Modern Renaissance is basically bulletproof. The curation of the shades in absolutely stunning and I find that even though it's a distinctly warm toned palette I'm actually able to get some cool toned looks from it as well. The decision to fill the matte with mattes and only include two shimmers, both of which work beautifully on the lid and bring a pop of light, is kind of brilliant, in my opinion. That said, the most impressive thing about this palette is the performance. These shadows are highly pigmented and blend more easily than any shadows I've ever used in my life. To be perfectly honest, I think this might be my favorite palette of all time, period. While I know a lot of people would rate the original Chocolate Bar or the Semi-Sweet Chocolate bar higher than the Chocolate Bon Bons, this one is definitely my personal favorite because of the cooler tones. I like a really beautiful, easy taupe eye look and this is what I always reach for when I want to do that. I also really love this as a summer every day palette because I can really easily get the simple, contoured eye look that I tend to gravitate towards in the warmer months. I think everyone needs a really easy palette in their collection, something that puts together a kind of signature look, and that's this palette for me. 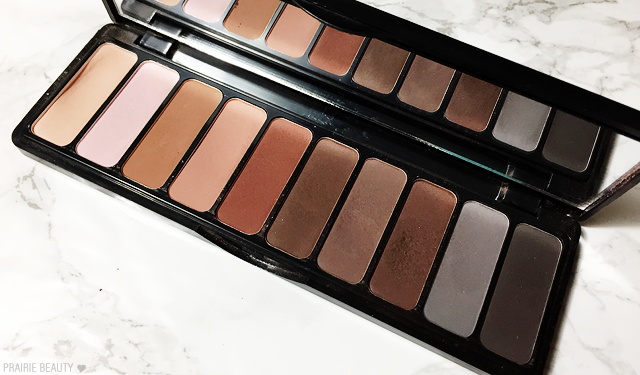 Everyone needs this palette. Honestly. I don't say that anyone "needs" anything very often, but I feel like every makeup lover needs this palette. It looks kind of boring, right? But it's really not. 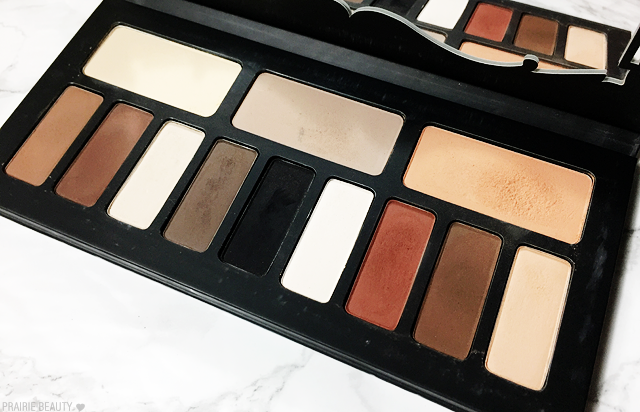 Whether using this on its own for all matte looks or pairing with other palettes, this palette is the perfect selection of shades in a near perfect formula. The powders are pigmented, creamy and blendable and I honestly can't think of a shade that's missing from this palette. If you only buy one high end palette and rely on affordable palettes for everything else, I would recommend this being the palette you buy. This small palette was really a surprise for me and I pretty much instantly fell in love with it. The matte shades are really creamy and dense with pigment, but super easy to blend, and the shimmers pack a lot of shine and intensity as long as you use a base and don't over-blend them. I find myself reaching for this palette a lot because it's really easy and always gives me a really great look without having to work too hard for it. Also, it's a pretty affordable option at Sephora... what more could you ask for? 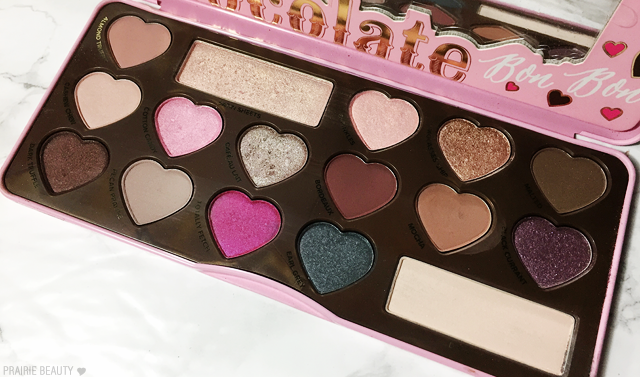 I considered not including this palette since it was Limited Edition and has long since been discontinued, but I felt like I should be honest and include my real Ultimate Favorites in this post - and this palette has been a favorite of mine for nearly three years now. I've bought Cargo palettes since this one and none of them have come close to being as loved as this one. The curation is perfect for fall, which is when I tend to use this, but can easily be used all year around. The powders have a really great formula and blend really nicely to create really beautiful looks. Dear Cargo... Please re-release this palette! Pretty please? So there you have it, my list of my favorite palettes. 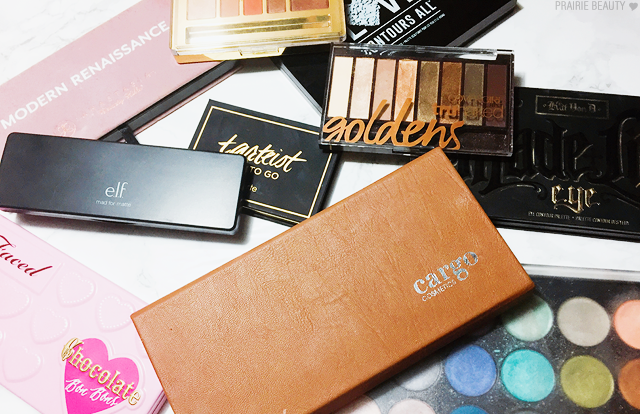 I would give my stamp to all of these palettes and recommend them depending on your needs and budget. 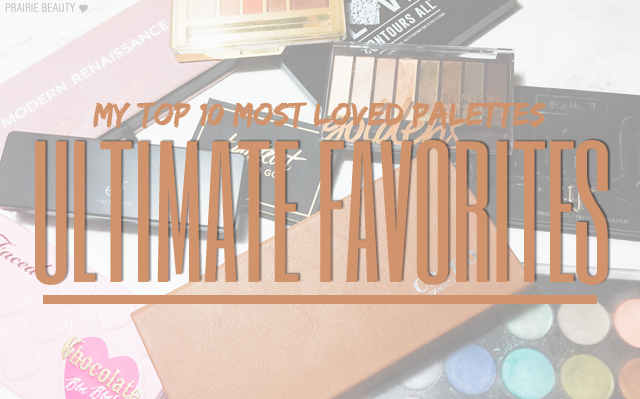 I mean, they are my "Ultimate Favorites" after all, so they beat out quite a few other palettes in my collection. If you're interested in seeing more of my Ultimate Favorites, let me know in the comments! I was thinking about doing cheek or lip products next, so let me know what you'd like to see!